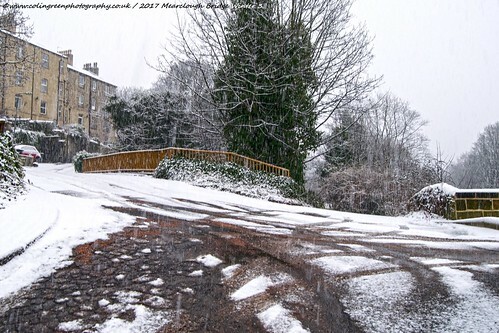 Colin Green Photography: Snow at Mearclough Bridge. I have previously posted about Mearclough Bridge with 16 pictures featured taken around the bridge over the last 4 years. 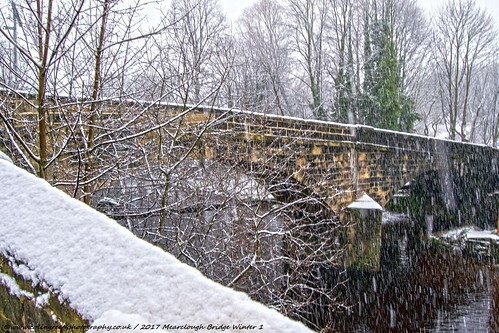 These pictures were taken during a recent snowfall that landed on Calderdale at the bridge. To see my previous post on the bridge look here. As well as pictures it features a little on the history of the crossing. The snow fell on the 29th December and was a few inches deep, although by the end of the same day heavy rain had followed and washed the snow from lower ground away. There are a total of 9 pictures to view from this set. There are 3 available only on Clickasnap via the links below as well as 6 to view here and on Flickr. They were taken using a Nikon d3300 SLR camera. River Calder during a Snow Fall at Mearclough. Taken from the centre of the bridge looking west towards Mearclough Wear. It shows the River Calder during the snow fall. Taken from alongside the canal bridge north of the river crossing. The picture looks across Mearclough Bridge during the first light coverings of snow. Winter and the River Calder. 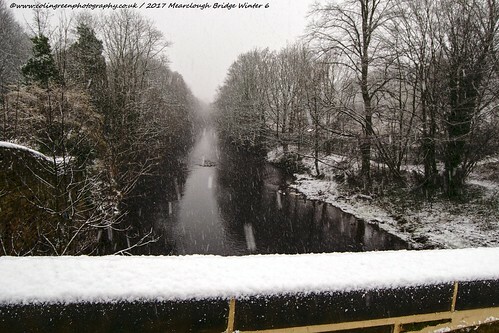 Looking from the south east corner of the bridge along the River Calder as the snow was falling. The following pictures are from my Flickr album. These are just an example of the pictures taken. The rest can be seen on Flickr and Clickasnap.